Free quotes. Fast, Friendly Reliable Service. Our workmanship and materials are guaranteed for 2 years. All work is undertaken in a professional manner with as little disruption as possible. We pride ourselves on our prompt reliable customer service at all times. Concretus is an extremely successful company focused on providing clients with the best possible service, always at the most competitive price. Stringent quality control procedures and a substantial investment in a state-of-the-art logistics system ensures the future success of this highly competitive company. Concretus was originally created to supply all of the concrete needs for Dale Alcock Homes and Celebration Homes but it has now grown to the point where it regularly services external building companies. PERTH’S CONCRETE SPECIALISTS Warner Brook Concreting, with 40 years’ concreting experience in the Perth metropolitan area, has set the standard for ‘traditional excellence’. As experienced concreting specialists, we offer our services both residentially and commercially, customising them to fit your exact needs. We service a diverse range of areas, installing and repairing concrete driveways, patios, pool surrounds, car parks, parking bays, foot paths and much more. We understand how important it is to have the job done right the first time. So here at Warner Brook Concreting, each project is undertaken with professionalism and pride to achieve a finished result that is first-rate in every respect. 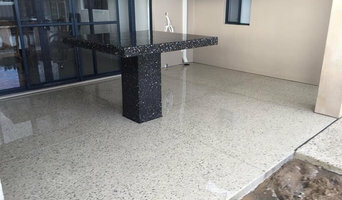 Whether you require the supply and installation of new concrete, or are looking for a concrete repair and restoration service, Warner Brook Concreting have you covered. 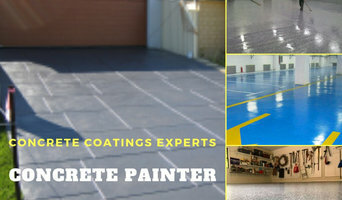 So contact us if you’re in need of honed concrete, coloured concrete, exposed aggregate, decorative concrete, patterned concrete or liquid limestone in Perth. Established in 1986 as a residential paving contractor and over our history have grown to complete many large scale commercial and Civil projects. Perth Concreting business Working with our clients to get the best possible outcome for there job. All aspects of concrete - Exposed aggregate Honed Polished Grey Coloured Limestone Free measure and qoute. Driveway professionals can install, replace and repair concrete driveways, asphalt driveways, exposed aggregate driveways and other paved areas in various materials. 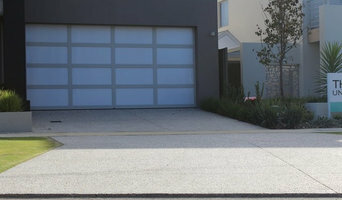 Before work begins on a new or replacement driveway or other paved area, a Perth, Western Australia driveway professional will assess your property’s grade, soil and drainage. They will then help you choose from a range of poured surfaces and driveway pavers, based on your home’s style and environment. Next, they will prepare the site and operate any heavy machinery needed to build the driveway or move pavers – however, construction may not be able to happen until after other contractors have finished. Find a driveway and paving contractor on Houzz. 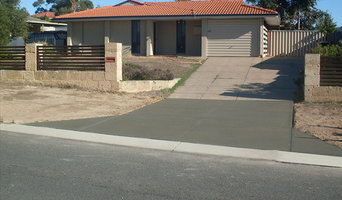 Narrow your search in the Professionals section of the website to Perth, Western Australia Driveways. You may also look through Perth, Western Australia photos to find examples of driveways and paving that you like, then contact the paving professional or contractor who worked on them.